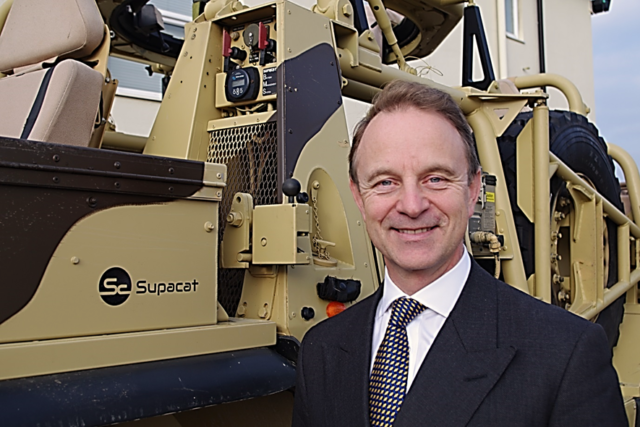 Major General (Retd) Robert Talbot Rice CBE has been appointed a non-Executive Director of SC Group, the UK headquartered engineering services company. The Group includes a number of international businesses including Supacat, SC Innovation, Proteum and Blackhill Engineering, whose products and services are used in sectors including defence, marine, energy and infrastructure. Prior to retirement from a full career in the British Army, Major General Talbot Rice was the UK MoD Director Land Equipment, responsible for acquisition and support for much of the MoD’s land equipment. Before that he was UK MoD Head of Armoured Vehicles, in which role he was promoted to Major General in 2014. Commissioned into the Welsh Guards in 1983, his operational service includes four tours in Northern Ireland; command of the British Battlegroup in Bosnia; and tours on the staff in Kosovo (in Headquarters KFOR) and Iraq (in General Petraeus’s headquarters as the chief liaison officer to the Iraqi Ministry of Defence). He is a Chartered Director, and a Fellow of both the Institute of Directors and of the Institution of Engineering and Technology; and is a graduate of the Said Business School/Cabinet Office Major Projects Leadership Academy. On his appointment to SC Group, Robert said: “I am very pleased indeed to be joining the SC Group Board, and much look forward to working with the other Board members to steer this successful and well regarded company through the years ahead”. Nick Ames, Chief Executive of SC Group, said, “We are delighted to welcome Robert to the board. His wisdom and experience from leading from the top of the British Army, combined with his astute management skills in delivering complex procurement programmes, will be invaluable assets to the whole Group”.